Heather M. Riley is a bookseller and blogger. She blogs for Crave More Romance and Want My YA. 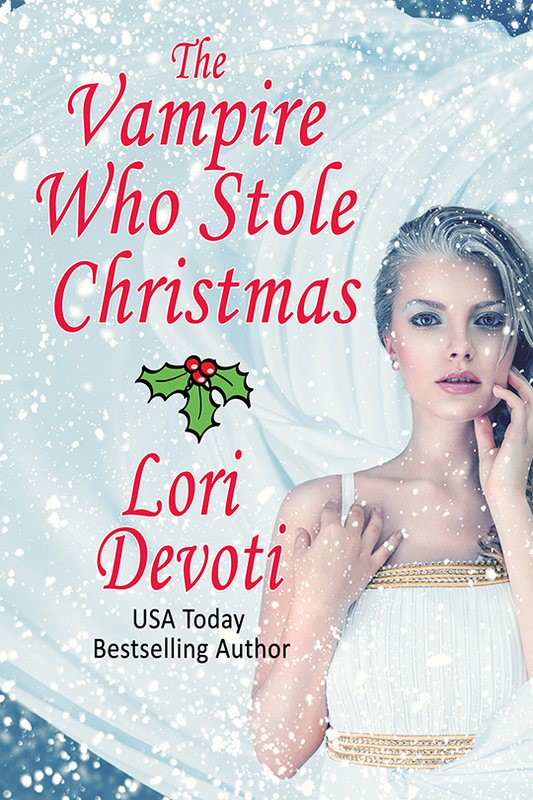 I was thrilled when Lori invited me back to her blog for her Full Moon of Werewolves. Then I instantly went into a panic realizing I needed to find something to talk about.. That’s when I had my “duh” moment. I’m the YA blogger in this lineup (well maybe not THE blogger, but you get my point), why not talk about werewolves in YA? This sent me on a search for books to discuss. My first thought was Blood and Chocolate by Annette Curtis Klause. After all, I already own the book and I loved the movie (more on that later). However I decided initially to take a different direction and find some books that people may not have heard of yet. First I picked up Weregirls: Birth of the Pack by Petru Popescu. This book is definitely not your traditional werewolf story. From the back copy I could tell it was about four young girls and their soccer team, the Weregirls. Lily is the leader of this pack of girls; she’s the one who forms their soccer club when the school refuses to make them an official team. The action is a bit slow to start with this book. Initally there’s a lot of drama surrounding the soccer club and the new girl in town, Andra, who seems determined to take the one thing Lily’s worked so hard for away from her. Despite being dead, Lily’s father becomes a central character in this story. In the beginning it’s just his memory and the impact of his absence on Lily and her mother. However after finding his mirror, his “moonglass” in the garage, Lily begins to actually hear her father speaking to her. It’s through him that she learns the truth behind the stories of the weregirls that he used to share with Lily and her friends. These weren’t merely stories. Each of the girls has a weregirl watching over and protecting them. It’s after these revelations are made that everthing picks up and now on top of the drama there’s real danger. Andra is right in the center of all of it, the soccer club was just a means to an end for her. Andra wants far more from Lily than that, and she’s a girl used to getting what she wants. Next I read Moonlight: A Dark Guardian Novel by Rachel Hawthorne. This is the first book in her Dark Guardians series. And while I enjoyed Weregirls, I LOVED Moonlight. Rachel Hawthorne’s story is a lot more in line with what you expect of a werewolf story. When she was just five years old, Kayla’s parents were killed. While out in the woods they were shot by some drunk hunters who insisted that they’d seen wolves and were just trying to protect the little girl. Kayla doesn’t get it, how stupid and drunk did they have to be to see wolves in place of humans? Now just before her seventeenth birthday Kayla has returned to the same woods. The summer before her adoptive parents took her camping there as part of her therapy and her need to face her past. While there she befriended Lindsey, their guide, or sherpa as they are called. Lindsey convinced Kayla to return and become a sherpa herself. Kayla was glad to return, not only for Lindsey, but also for Luke. She’s both attracted to and afraid of Luke. He’s so intense and her feelings for him are unlike any feelings she’s ever had for another guy. Now Kayla is getting ready to go on her first mission with several other sherpas, Luke among them. They are leading a professor and his group of grad students out into the wild to a predermined campsite and then return for them a couple of weeks later. It sounds like a fairly basic mission until the campfire conversation turns one night from the wolves the grad students are supposedly studying, to werewolves. Everyone laughs it off, but Kayla wonders, do these people really belive in werewolves? When everything comes to light, the real motives of the professor and his students, the secrets of her fellow sherpas, and the truth behind her parents deaths, it’s almost more than Kayla can bear. But bear it she does, and with a strength beyond her years. Moonlight was just an all-around great read. Whether you’re looking at it as a werewolf story or not. I do love the way the werewolf mythology was handled, and I really loved Kayla and all the supporting characters. Kayla wasn’t thrilled with the truth once she learned it, she tried to rebel in her head, but when it came down to it, she was strong and she knew what she had to do. I also absolutely adored Luke and the romance between him and Kayla. I love it when the feelings between two characters just leap off the page and land right there in your chest. I’m addicted and panting for the next Dark Guardian story. Now back to Blood and Chocolate, well I’m still reading that one. I tried, but didn’t quite get everything read like I wanted to in time for this post. What I can tell you so far, is that while I am totally in love with the movie version, a great many liberties were taken with the story. Like so far the only similarities are the title, the character names (some of them), and the whole werewolf/ loup garou thing. It’s certainly interesting. I’ll be sure to pop back with a comment or three once I actually finish this one. So now it’s your turn.. Have you come across any YA werewolf gems that I missed? The obvious…..Twilight and then I haven’t read them yet but there is a Wereling series by Stephen Cole that I am told are very good. Yea New Moon is probably the only YA werewolf books I have read. Moonlight sounds really good though so i might have to go add that to my TBR list..lol. I love Y/A books and really am excited that you posted this. I had not heard of Moonlight and will be checking it out thanks for the recommendation. I don’t have anything to add to your reading list. I will say Moonlight sounds interesting. I’m going to add it to my to buy list. Thanks for the recommendation. Have a great day. The only YA I’ve read are the first two in Meyer’s Twilight series. And I think I’m one of the few who really disliked it. I barely finished the first book and quit the second one halfway through. I haven’t read many YA werewolf books, and none come to mind, except for, of course, the Twilight Saga. Moonlight does really look interesting, so I will be adding it to my TBR list. Thanks so much for the recommendations! Btw, my friend read Blood and Chocolate, and she saw the movie, and she says that they are almost completely different from one another. You know, I love YA books, but I have not read any YA werewolves! Hmmm must change that! Hi Heather! I have to admit, I work in a bookstore and I personally, off the top of my head, can’t think of any additional YA werewolf or shifter books. I’m going to have to take a closer look when I go in next. Great post! Have a good weekend. The Twilight Series by Stepehnie Meyer. 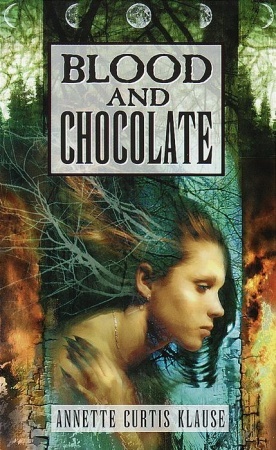 OMG – I loved Blood and Chocolate that was first adventure into YA. You have me intrigued with Moonlight. Definitely adding that one to my TBB list. I’ll have to check the books out you mentioned, thanks for the advice. Hey everyone thanks for all the great comments. :) I’m glad everyone is so intrigued by the titles I found. Moonlight sounds very interesting. I need to start reading more books on werewolves. What an interesting concept of Weregirls! In my vision, due to the books that I have read in the past the word “werewolves” is always associated with men never with women or like in this case girls! Although a YA book I will check it out in the months to come! YA or not, the only thing that counts is a good read! I have to admit, I never read a YA book, well not since probably HS! Which is many many years ago. :roll: Hearing about these different ones out, that I knew about TWILIGHT but not these you mention! I really just didn’t realize how much there is! I love reading werewolves so I wonder where to start but you gave me some ideas here! Great post, thanks!! Moonlight has been on my wishlist. Im going to have to move it up. I havent seen a lot of shifter YA books. Now Im going to be keeping an eye out. Thanks for the suggestions. I’ve never knew about Moonlight before but after reading your post today, I’ll have to try and find a copy. Sounds really good! And I’ve seen some good YA books mentioned in comments above but so far no one mentioned L J Smith’s books. She has a lot of great books and I believe they are currently reissueing most of them. My favorite was her Night World series but it doesn’t only cater to werewolves. Its actually a series that touches on a great many different kinds of paranormal species. First off: I totally loved Blood & Chocolate. I read it some time during high school and quickly devoured all of Amelia’s books! I like the idea of Weregirls, it’s definitely different than most werewolf books. And I totally added Moonlight to my TBR pile! I read Blood & Chocolate and immediately went out and bought the movie. Youa re right, there were a great many liberties taken with the book, but the movie was good in its own right. Like many books turned movie… you have to go into it looking for the entertainment value in it and then be pleasantly surprised by how well they keep to the original story. Haven’t read anything in werewolf YA other than the Twilight series which I have my own issues with (Though I did read the series and bought the movie. Dont balk, I will offer my defense by saying… Robert Pattinson and Jackson Rathbone.) The suggestions you have in the post though are very intriguing and I will definitely need to check them out. I will have to check these books out. I’ve read about 15 YA paranormal in the past 6 months, but most are witches and Vampire, the best 2 were about Dragons & Faeries. and my 12yr pesting the living ***** to find it. she is swallowing whole books a night of her sister. YA seems to be more into vampires than werewolves. Personally I much perfer werewolves, something about being warm-blooded…. :D I would highly recommend Freaksville by Kitty Keswick; however, it’s not out yet. But trust me, very good. I really enjoyed reading this gave me 3 new authors to check out & add to my growing list. 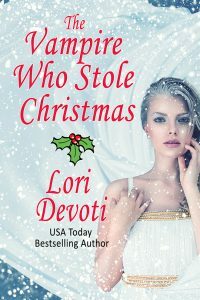 I really enjoy both vampire & werewolves books another good author I like is Kate Douglas also. not read any ya with were. haven’t read much ya at all. i like them but finding the time to read everything I want to read is hard enough as it is.